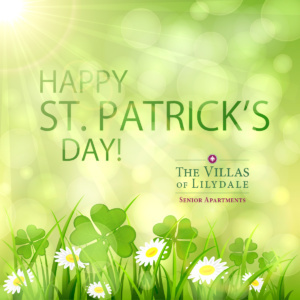 The Villas of Lilydale Senior Living would like to wish everyone a very lucky Saint Patrick’s day! 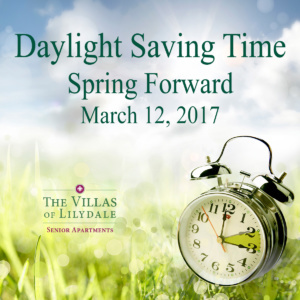 Reminder from Villas of Lilydale to Spring forward for Daylight Saving! Don’t forget to turn your clocks ahead an hour before bed tomorrow. Enjoy the extra daylight until November 5th 2017!